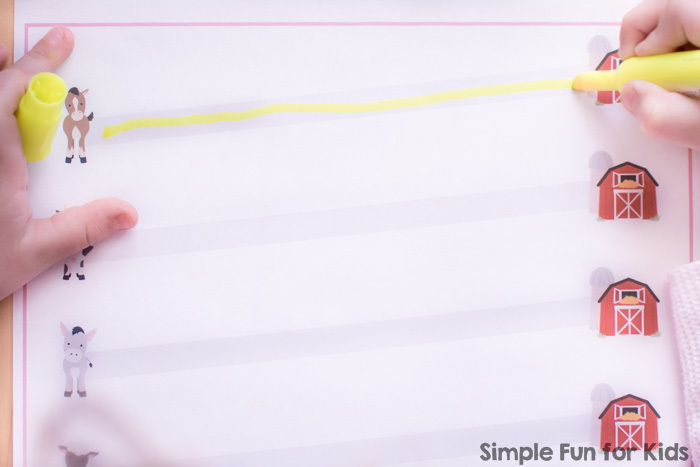 I’ve put that cute farm animal clip art to good use again and made a quick and simple Farm Animal Prewriting Practice printable! The file contains 5 prewriting practice pages. On each one, a horse, a cow, a donkey, and a sheep want to get to their respective barns. There are straight lines, slanted lines going up, slanted lines going down, lines going up, then down, and lines going down, then up. The lines are quite wide, perfect for beginners. Highlighters are fun to use for tracing, but any marker, crayon, etc. will work. 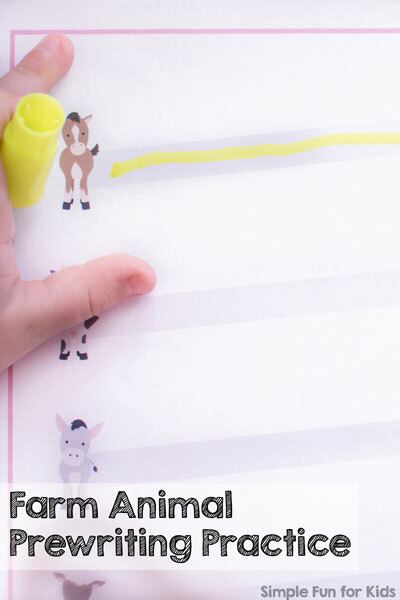 Download your Farm Animal Prewriting Practice Printable!